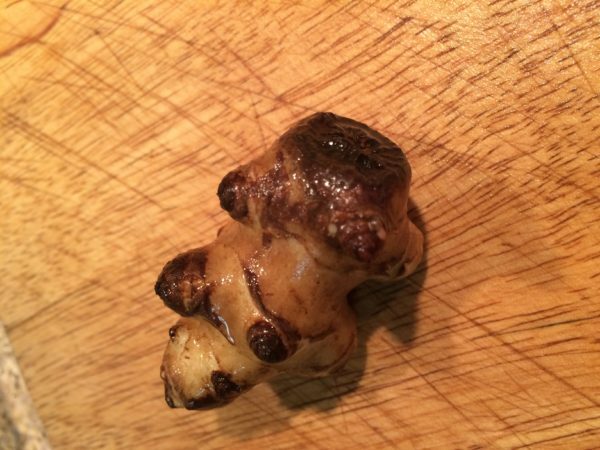 So we added Sunchokes (a.k.a. 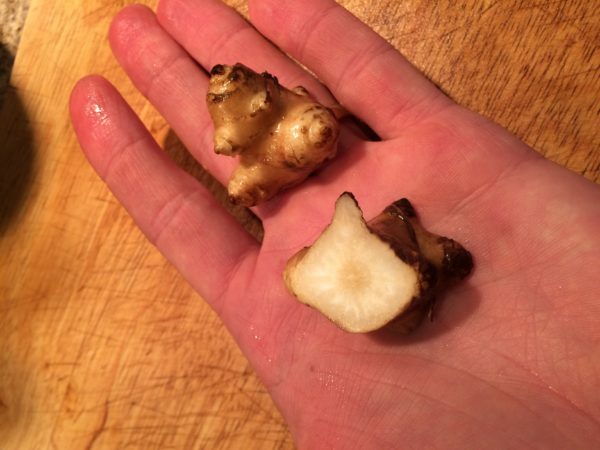 “Jerusalem Artichokes”) to our vegetable line-up last year, and for many of you, this was your first encounter with these funny little tubers. 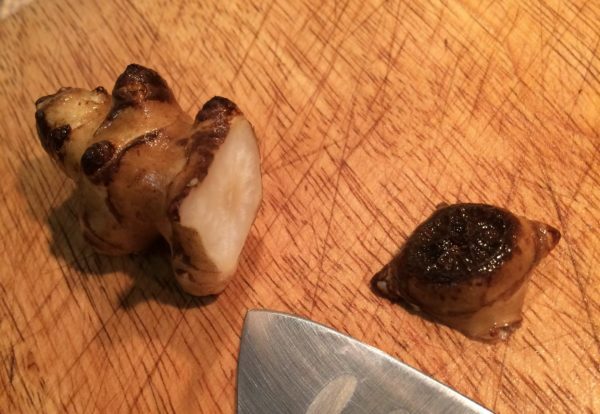 Admittedly, sunchokes are kind of weirdos. They’re a bit weird in the ground, and they’re a bit weird in the kitchen … but if you ask me, they have a really delightful and satisfying nuttiness if you roast them up. So the recipe we have here is a run-down of how you might roast them. This is what I usually do with ’em, and I find this method to be quick and stress-free. Give a it whirl and don’t hesitate to ask any questions in the comments. 0) Preheat your oven to 400 degrees Fahrenheit. 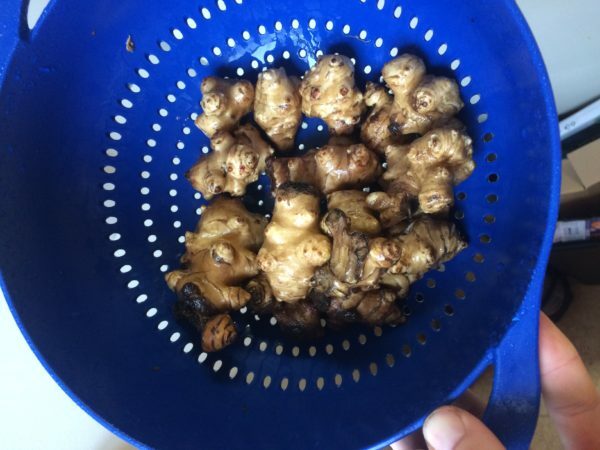 1) Wash your sunchokes. I like to do this by putting them in a colander and spraying them down in the sink. 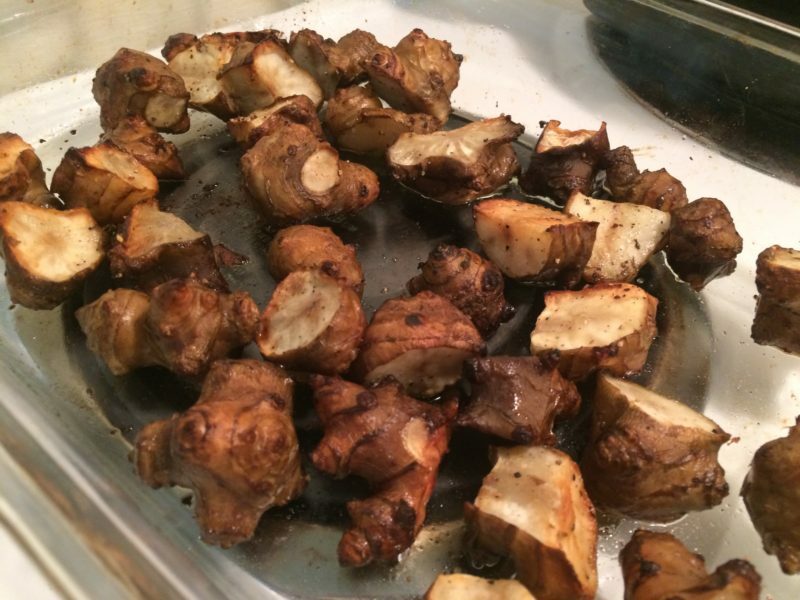 2) Trim your sunchokes. You’ll find that many of the tubers have a no-good end, where the tuber was connected to the root system of the plant — see the photos below for an example. Trim off anything that you find unappetizing. 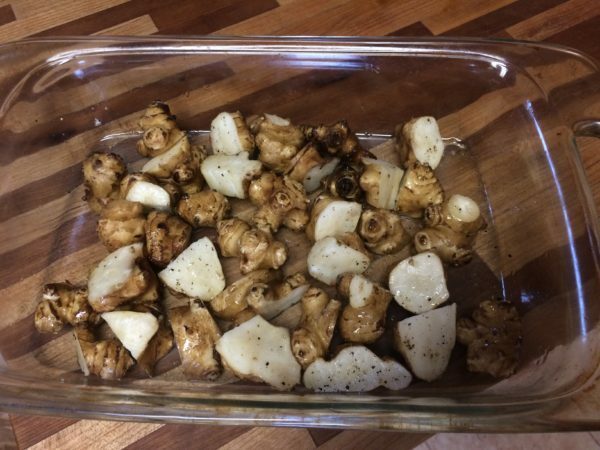 3) Cut your sunchokes into bite-sized pieces. 4) Put ’em in a baking dish (or in a cast iron skillet or on a baking sheet). 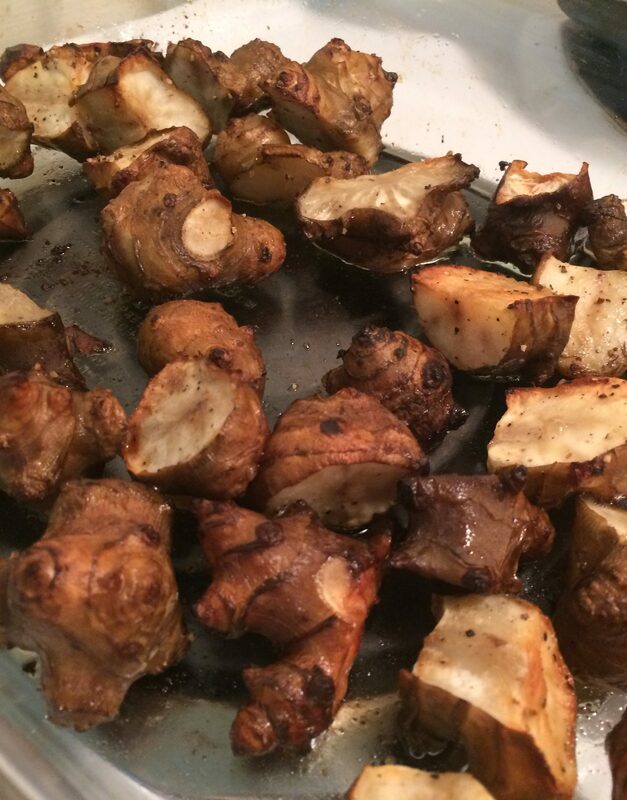 Drizzle the sunchokes with a bit of olive oil. Add salt and pepper to taste, and toss them. 5) Bake them at 400 degrees for 40 – 55 minutes. Depending on your preferred texture, there’s a range of appropriate baking times until doneness. I would start checking them at about 40 minutes. 6) Let them cool a wee bit and then eat them!